Hey, y'all! My newest design team post is up on the Sizzix Blog. 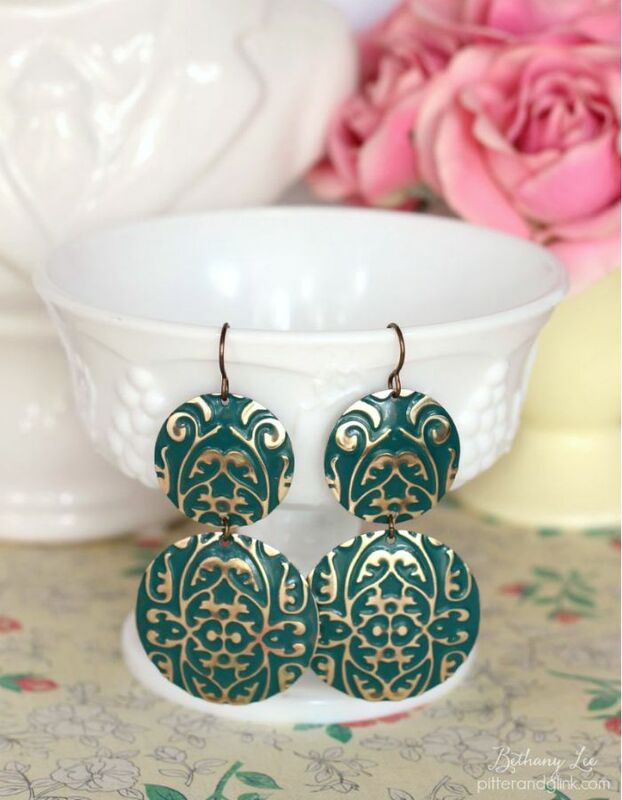 I'm showing you how to make a beautiful pair of Embossed Emerald Statement Earrings. These earrings are so easy to make with the Sizzix BIGkick and Vintaj metal blanks and dies. Because they're statement earrings, they're big, but they're so light you could wear them all day without your ears hurting. Head over to the Sizzix Blog for the full tutorial. I'm on my way, these are so cool!